One of the cool things about MySQL 5.7 is the fact that it sports a few spatial convenience functions (since 5.7.6), allowing one to do operations on geometric values. 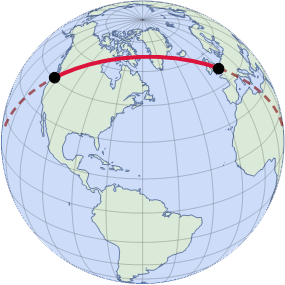 One of those convenience functions is ST_Distance_Sphere, which allows one to calculate the (spherical) distance between two points. Recently I was working an project where I needed said function, yet unfortunately they were running some version of MySQL 5.6 … on which ST_Distance_Sphere isn’t available. Instead of requesting to upgrade the MySQL server, I decided to polyfill ST_Distance_Sphere instead. It’s really easy since it’s a function, and it basically is nothing more than the Haversine Formula which I, as a mapping aficionado, know how to juggle. Thank you so much, it was very useful !